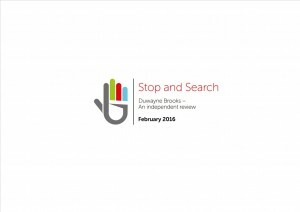 Northants Police and Crime Commissioner has published Duwayne Brooks’ independent review into Stop and Search reform in Northants Police. One year on from the consultation, use of Stop and Search in Northamptonshire is down by 43% and the force were also awarded the international Daniel Wagman Award, for commitment to managing social diversity. Mr Brooks – the Deputy Major of London’s critical friend on Stop and Search and formerly one of the most stopped and searched individuals in the country – praised the improvement in police engagement with young people in the county and made a series of recommendations for further improvements in delivery of the procedure.